Scotland has the youngest age of criminal responsibility in Europe with the age set as eight. Law: Scotland has the youngest age of criminal responsibility in Europe. A Holyrood committee has backed raising the minimum age of criminal responsibility in Scotland from eight to 12. Scotland presently has the youngest age of criminal responsibility in Europe, with the age for the rest of the UK set at ten. Under current law in Scotland, children aged between eight and 11 cannot be prosecuted in the criminal courts but can be referred to the children's hearings system on both offence and non-offence grounds. Children aged between 12 and 16 can be prosecuted in the criminal courts - subject to the guidance of the Lord Advocate - or referred to the children's hearings system. 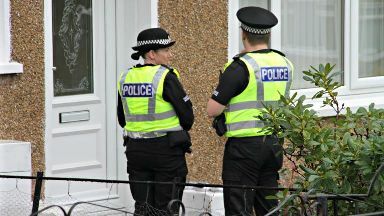 Scotland has faced criticism from human rights bodies, such as the UN Committee on the Rights of the Child, for its low age of criminal responsibility. It suggested that 12 is the minimum age that criminal responsibility is internationally acceptable. There have been previous attempts to raise the minimum age, most recently through the Criminal Justice (Scotland) Bill - now 2016 Act. However, there were concerns that in order to raise the age there would need to be certainty around the disclosure of criminal records, the use of forensic samples, police investigatory powers and the rights of victims. The current bill, published in March this year, also aims to tackle the issue of childhood convictions being disclosed in adult life. Such disclosures can potentially limit training or job opportunities available to people affected. Equalities and Human Rights Committee convener Ruth Maguire MSP said: "The committee is very supportive of raising the age at which children and young people become criminally responsible for their actions. "We recognise that many children enter the criminal justice system because of trauma they have suffered in their young lives. "There was strong support for raising the age from different groups who came to give us evidence. "Some of the compelling evidence we heard has given members a real sense of urgency. "While harmful behaviours from young people must be addressed, we do not believe that criminalising a child before they turn 12 is a helpful intervention."